We had a car waiting, luckily. The parents of Anne-Charlotte, a best mate of Cindy’s, whom we last seen so long ago in Montreal. She was waiting for us, when we arrived at her house in nearby Surzur. This is why we came, for a long-overdue catchup. The city had been washed down by a miserable rainfall, puncturing several weeks of perfect summer sun. 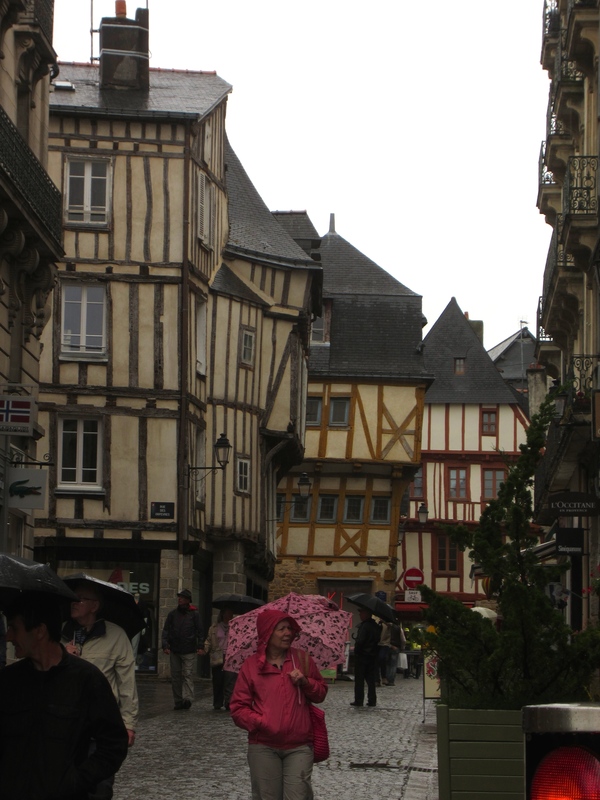 But it didn’t matter; rain seemed to suit Vannes. 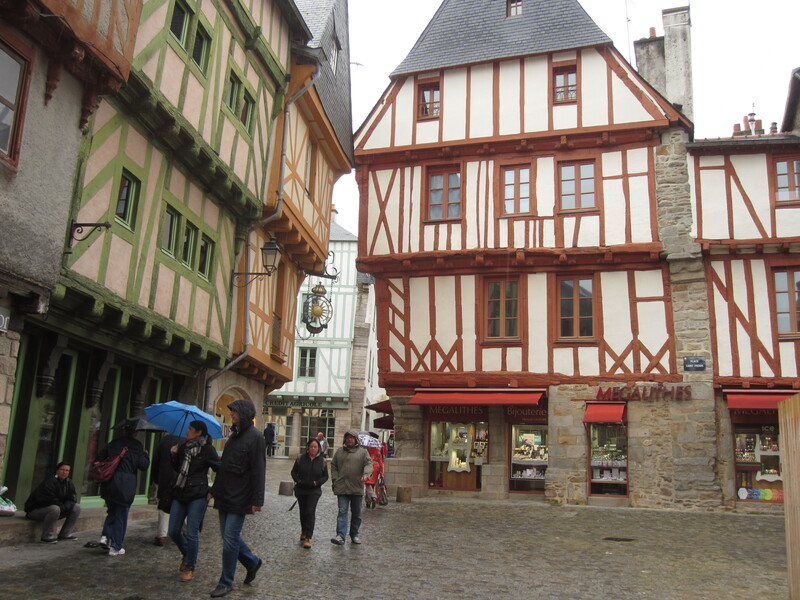 The roads leading through Vannes were single-file, winding through tight streets of stone houses. 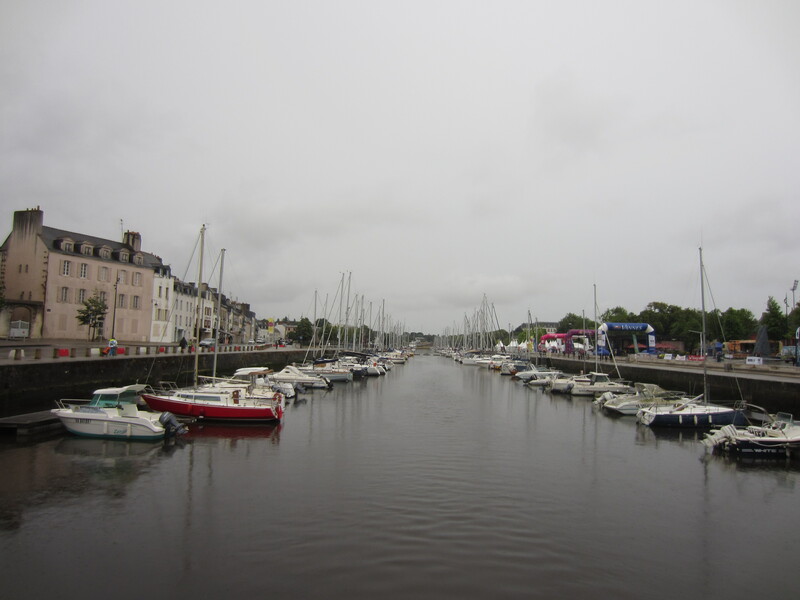 As we approached the port, Vannes proper burst into view. Encircled by stone wall ramparts, corner towers and medieval gates was the old city. We entered on foot via the gate by the port. 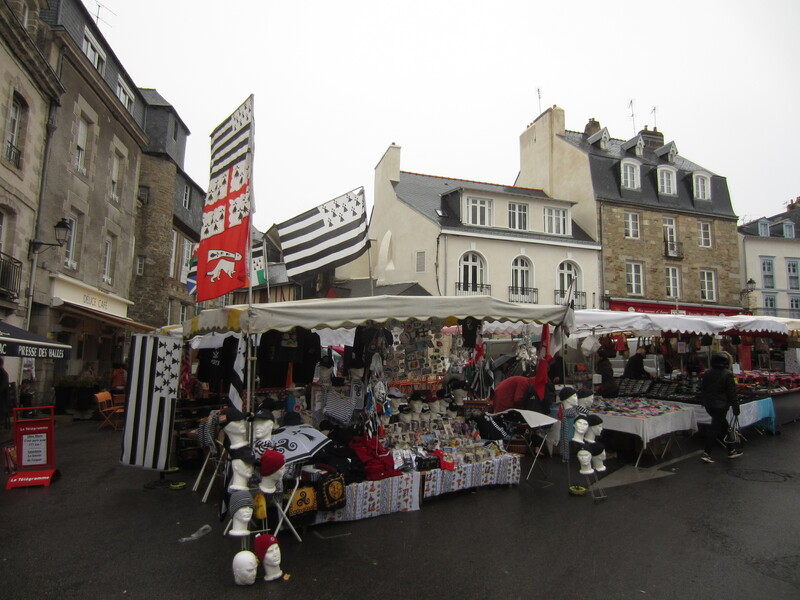 The Saturday marketplace was winding down; stalls selling baby clothes, Brittany flags and souvenirs, chocolates and charcuterie were packing up shop in response to the lacklustre crowds. Centuries ago, this market square, Place des Lices, was once the place to come see jousting. Real jousting! The whole city didn’t seem to have changed since the 14th century. Slick, smooth cobblestones reflected the bright, cloudy sky and channeled rainwater to the drains. The daub-and-wattle houses had their wooden beams touched up with colourful paint, but I could still imagine medieval villagers hurling buckets of slop out the window, and merchants pushing carts of vegetables through the backstreets, shouting their wares and ringing bells. The houses were leaning and slumping in their old age, sometimes nearly touching, a gorgeous reminder of the age of this place. With socks thoroughly soaked, it seemed a good idea to get out of the rain. Down by the port, a half-marathon was taking place. Curling around the palisades of docked sailboats, the runners came in, one by one, caked in mud, drenched, and exhausted. 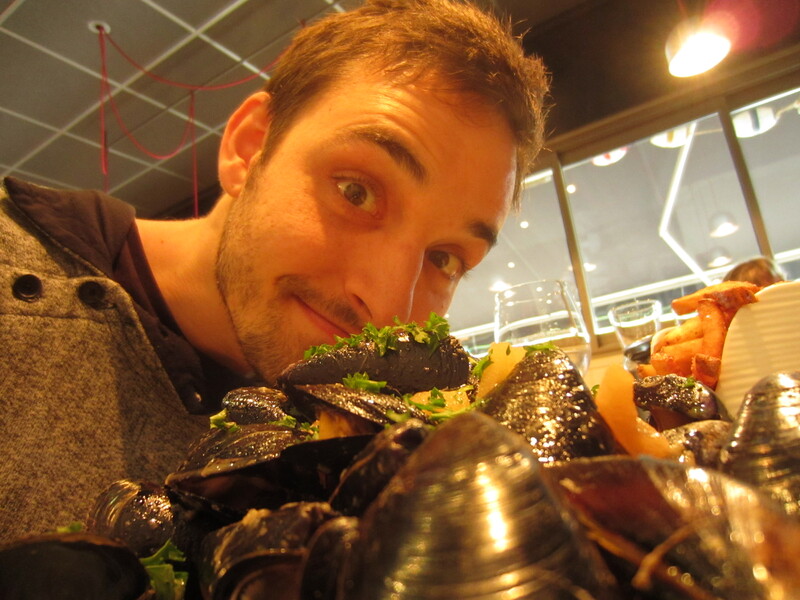 Watching all that exercise made us hungry, so we sat down for lunch – 1kg of mussels, a specialty of the region, served with fries. 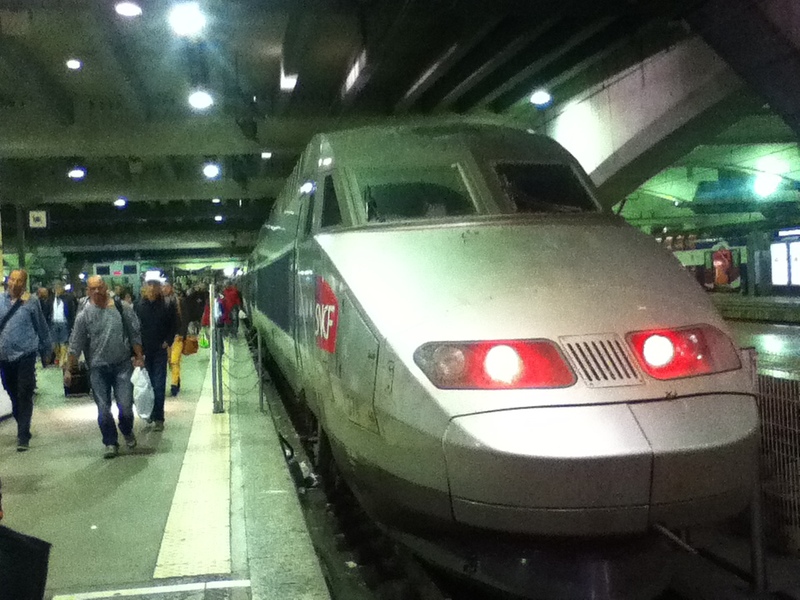 This was the first French city besides Paris i’d seen (and Calais with it’s not-worth-mentioning ferry port), and I loved it. The benchmark had been set high. Come back soon for Time machine (part 2)!